Here are the long term views given in September 2014 and an update now.. Essentially there is no change. 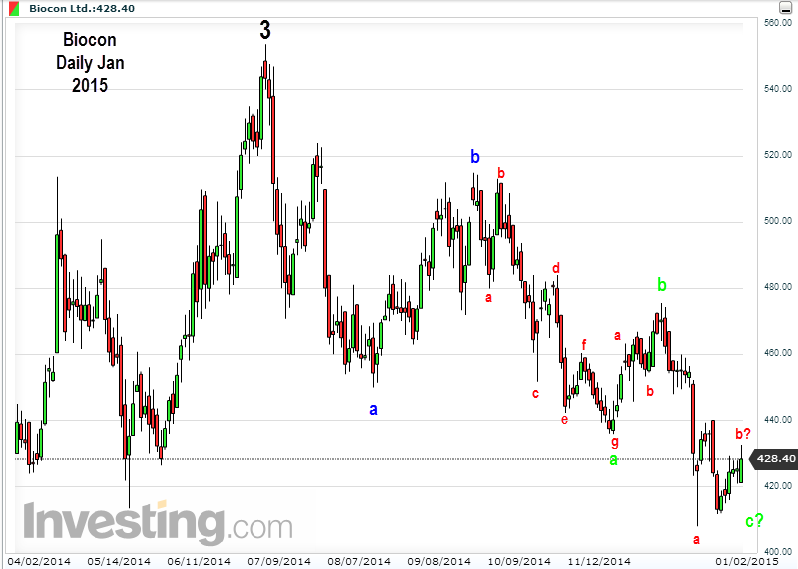 Biocon is in its 4 wave of 3rd wave still. 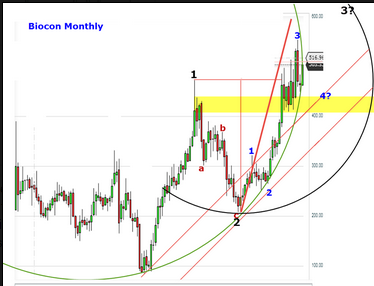 It is about to bottom out..
We see that the 4th wave is on expected lines. Question is, Is the 4th of 3 over? When will the 5th of 3 start? Technically, if the stock makes a faster retracement to the last movement in the opposite direction, then we conclude that 4th is over. 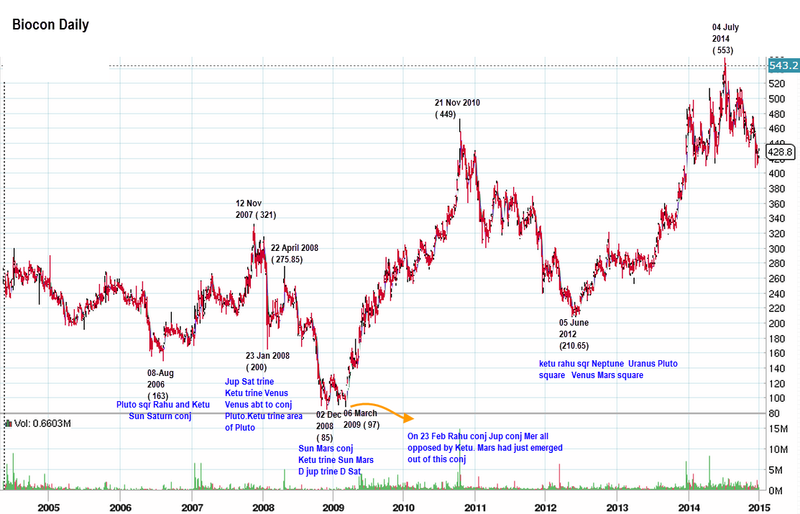 Astrologically, we see another bottom approaching.Ketu, the common factor in all Biocon bottoms, is yet again getting connected to a slow moving planet, Pluto and is conjunct Uranus, within a week. 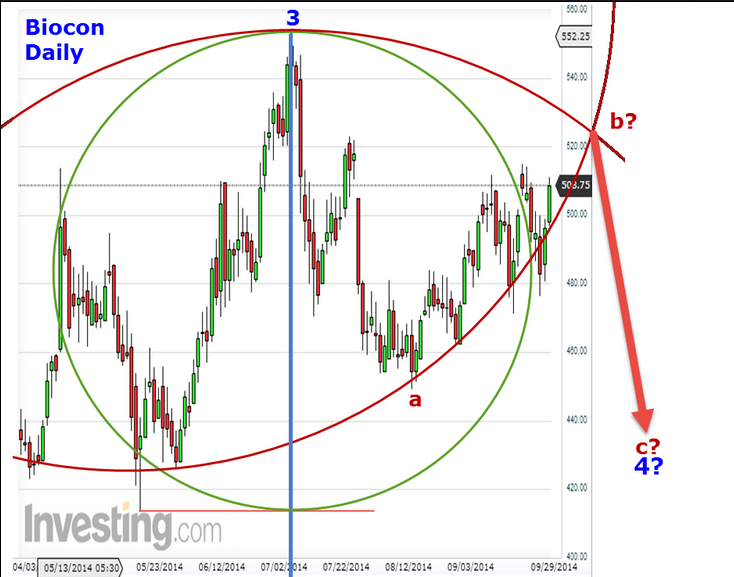 So we may watch this stock for a retracement. Very thoughtful of you to have updated biocon. As always a brilliant out put. Thanks Kannan. 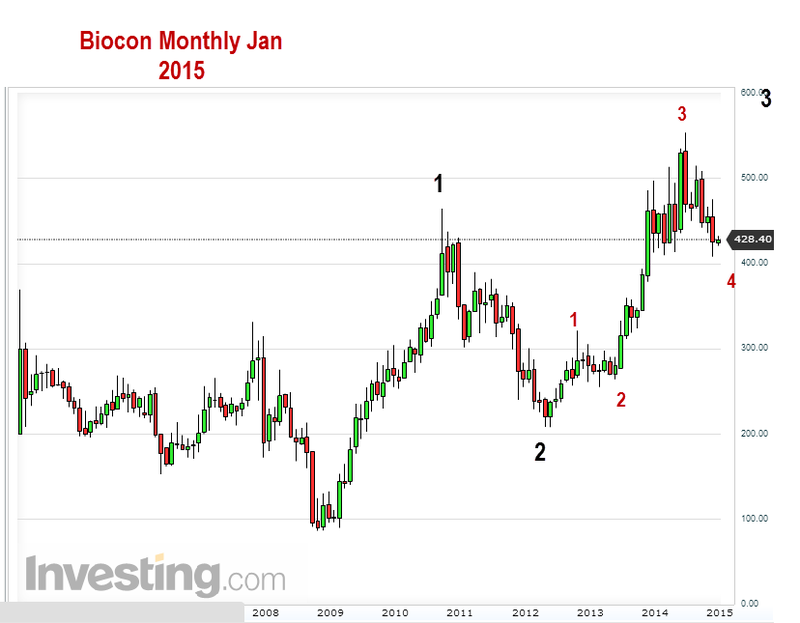 I did have you in mind when I looked into Biocon.